No More Excuses. We've Got the Perfect First Computer Programming Course For You. So you missed that Computer Programming course you always meant to take in college. Thankfully, the Internet is a magnanimous place, and here's your opportunity to take your first steps into programming by learning Python, an extensive language used in web and video game development, building graphic user interfaces, and much more. 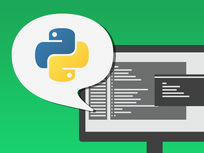 Widely considered to be one of the easiest programming languages to learn, Python will give you a great foundation to jump into other languages and grab an advantage on the career ladder. The average salary of the professional Python programmer is $107,000. Not too shabby. 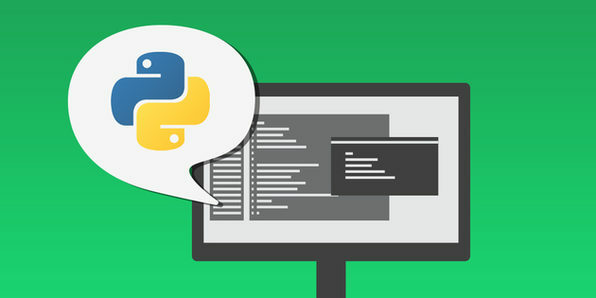 Companies like Amazon, Instagram, and YouTube include Python in their web platform development, and its ability to function with many other languages makes it extremely useful to large-scale programmers. It's never too late to start a career in coding, or to learn how to build websites and apps for yourself, which means this advanced course is an excellent asset.